One of the best parts of being involved in the Hockey World family (whether you’re an employee or a frequent shopper, we consider you family) is all the great events our team is involved in, and getting to spend time with players and fans out of the store. A few weeks back we teamed up with Bauer and invited Red Wing rookie Dylan Larkin along with a number of area kids to join in on the fun and skate with Larkin and teammate Riley Sheahan, which took place at The Joe Louis Arena. 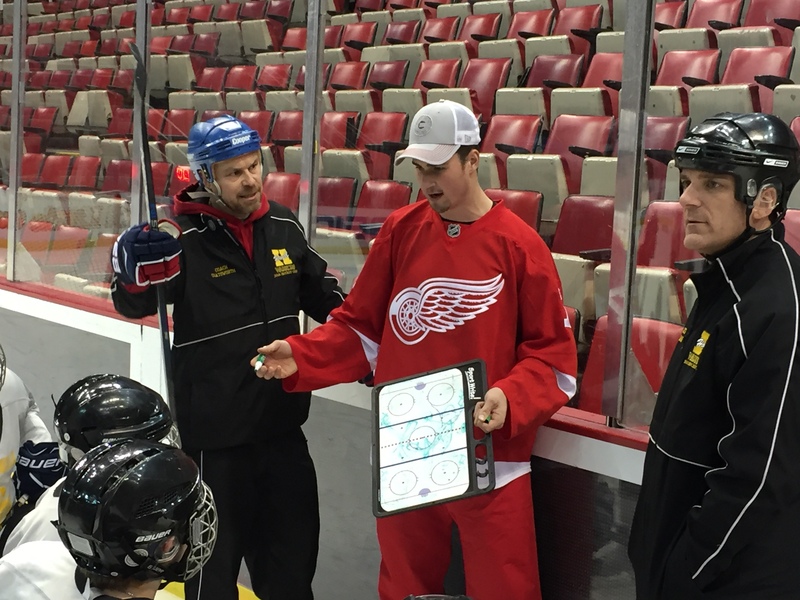 “Recently we had the pleasure of hosting an event with Dylan Larkin called the Bauer Experience of a Lifetime! Dylan was scheduled to skate with two of the four teams and was scheduled in the last two spots. Being the person that he is, he decided to show up early and lace up to take the ice with an extra team, which the kids loved. Larkin definitely brought great energy to the skate when most pro players just like to stand around and stay out of the way. Dylan was very involved in the practice, running drills, shoot out contests and getting involved in the scrimmage with the kids. 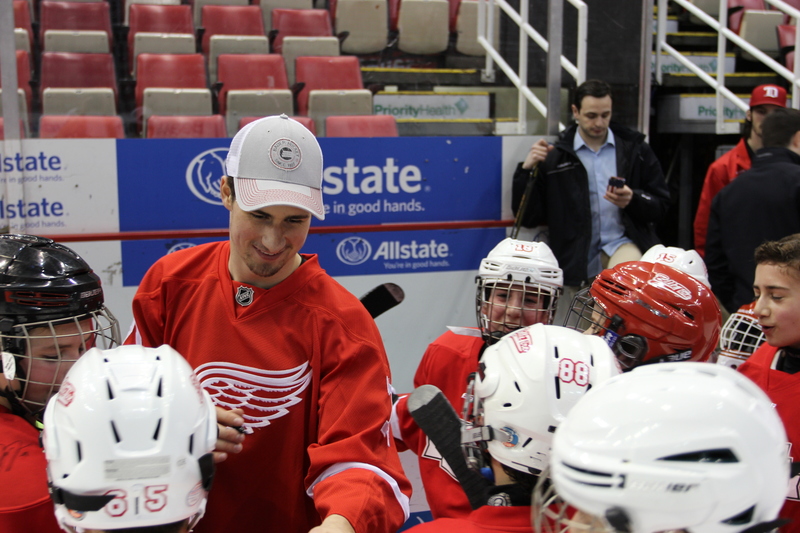 Whether it was hooking the kids playfully or setting them up with one-time passes, both Larkin and all the kids in attendance were having a blast! Not only that, Larkin made sure he stuck around until everyone got a autograph and pictures. 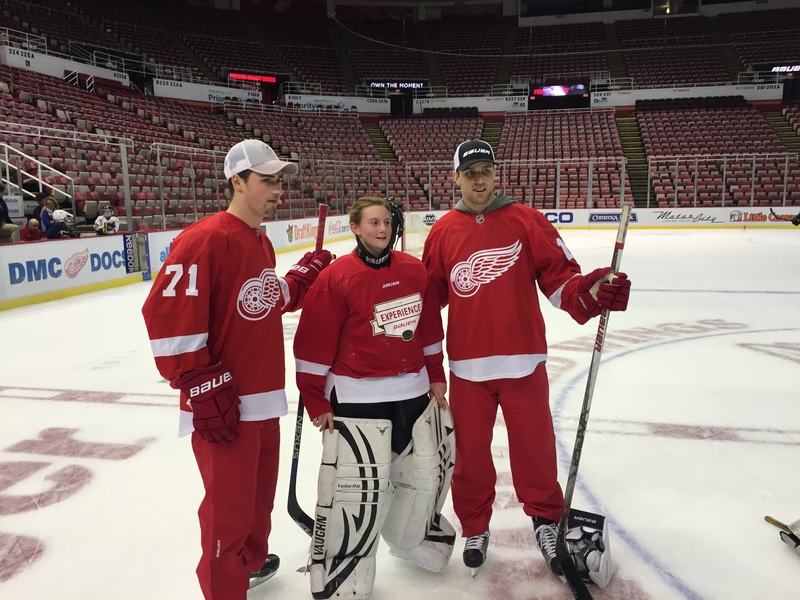 Larkin made sure all the kids had an experience of a lifetime,” says Kevin Ward of Hockey World. See some of the event highlights by checking out this YouTube video from our Experience of a Lifetime event presented by Bauer. Want to know more about Red Wing rookie Dylan Larkin (who just so happened to break the fastest skater record at the All Star Game)? Watch this YouTube video “There’s More to the Story” to get an inside look into the Michigan born and bred hockey star. Experience Bauer for yourself by shopping one of the biggest names in hockey whether online or in one of our many stores. Check out some of the newest Bauer gear we have, at our best price guarantee.